Natsumi is a first-year middle school student of the Asahigaoka Branch School. She is Yukiko's youngest daughter, and Suguru and Komari's youngest sister. Fun-loving and carefree, she likes playing pranks on other people, talks back to her mother, and does poorly in school. She usually tries to get out of trouble by pinning the blame on someone, or something, else. She used to have a brother complex when she was younger, promising to marry her older brother, and is very embarrassed of it. 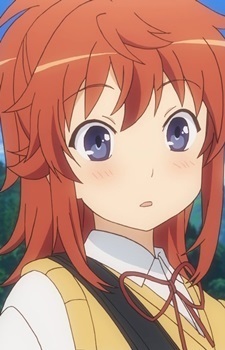 Non Non Biyori revolves around the everyday lives of four young girls who live in the countryside. Despite the serene setting, these girls never lack excitement. Let's take a closer look at what makes these characters so appealing.